Pitti Uomo – a sartorial hub of tailors, buyers and influencers – is one of the world’s most important platforms for men’s clothing and accessories. Held in Florence, this iconic menswear event favours fine tailoring over street style and is the perfect source of groomswear inspiration . 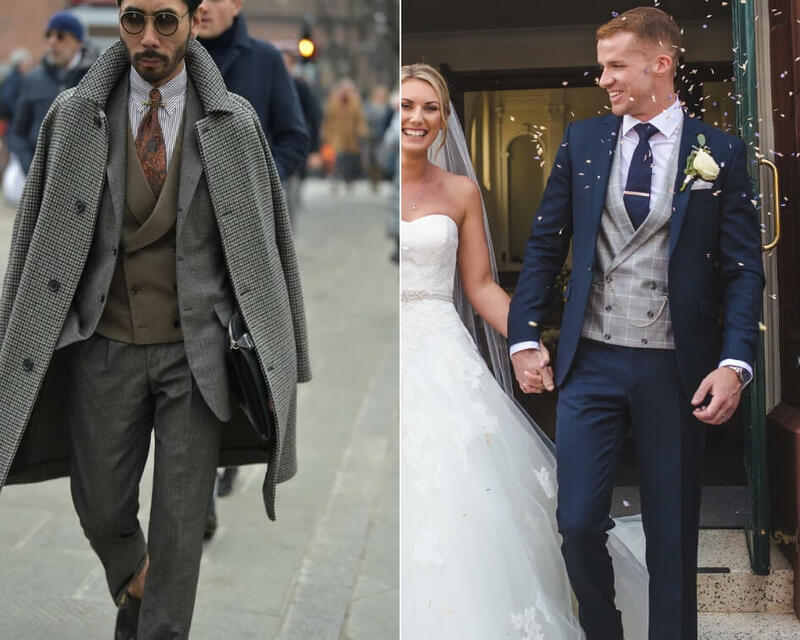 We’ve picked out this year’s key trends and provided advice on how you can translate them into that all-important wedding suit! Statement checks were at the forefront of this season’s event, from plaids to windowpanes and black watch tartan. The key to incorporating a statement check into your wedding suit is to pick one or two pieces and tone down the rest of your outfit with a simple, block colour for an equally striking, yet timeless look. 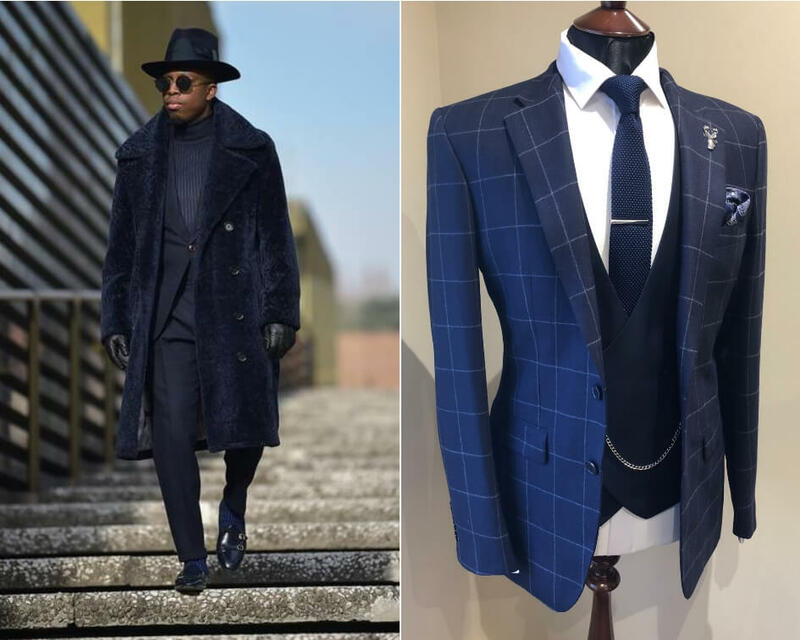 Tonal dressing is considered to be one of the most foolproof ways for men to dress and one that is highly underestimated. The key to nailing this look for your big day? Layer with different textures to prevent your wedding suit from looking one-dimensional. 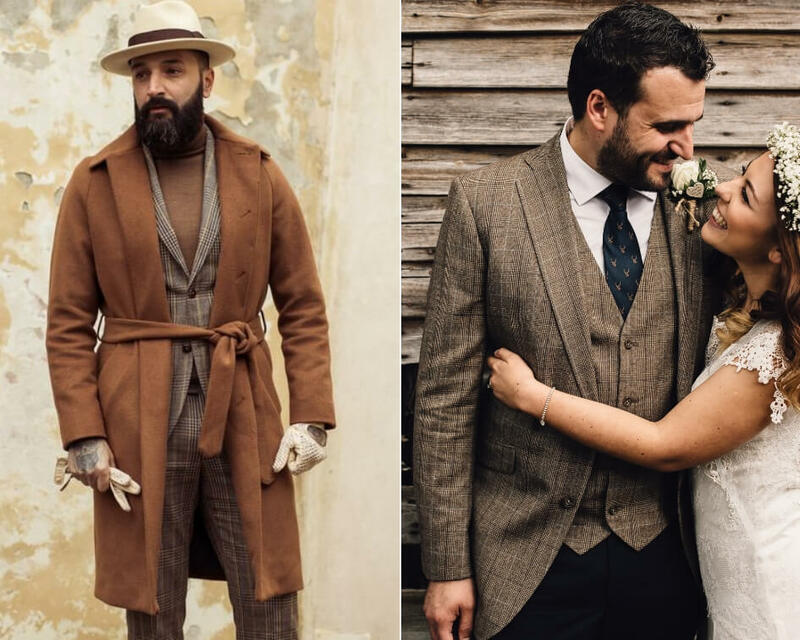 Brown proved to be a signature colour for men’s tailoring in warm shades of coffee, caramel and cinnamon – the perfect palette for a rustic, country barn wedding. A brown suit isn’t the easiest look to pull off, but when styled right, it can look seriously dapper! 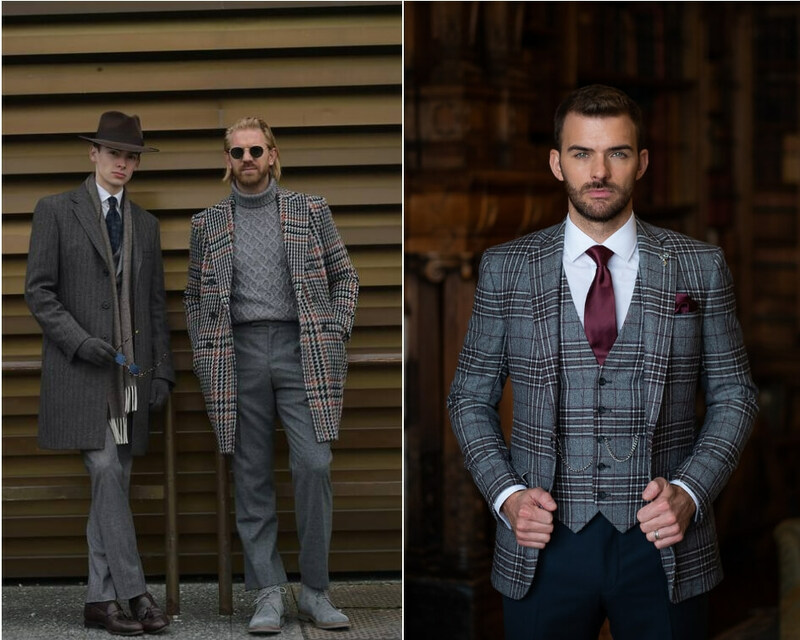 We’d recommend experiementing with rich, woollen checks in flannel or tweed to achieve this heritage inspired look. Opulent, burgundy hues teamed with shades of grey, navy, brown and black were everywhere at this year’s Pitti Uomo. 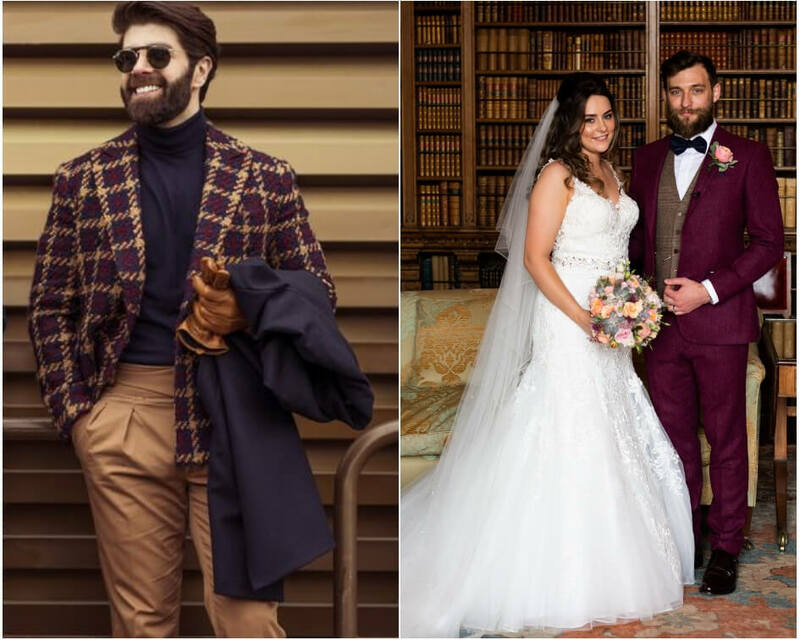 Embrace this trend into your wedding suit style by introducing subtle accents into your waistcoat, tie and pocket square; or, if you’re planning on making more of a statement, a three-piece burgundy suit is a sure win! Double-breasted waistcoats have made a stylish comeback in recent months and this was evident among the streets of Florence. Debonair in their appeal, double-breasted waistcoats look great with both morning suits and lounge suits. We recommend keeping it classic with a shawl or peak lapel but be sure to choose a close-fitting style for a modern take on tradition. Green was another strong colour contender this season, and not just at Pitti Uomo. Botanical themed weddings are becoming a popular choice for 2019, combining lush greenery with foliage heavy displays. The botanical wedding trend is all about bringing the great outdoors inside; carry this theme throughout by adding subtle hints of green to your look. Additionally, a green suit in flannel or tweed is an excellent choice for those rustic-themed weddings. 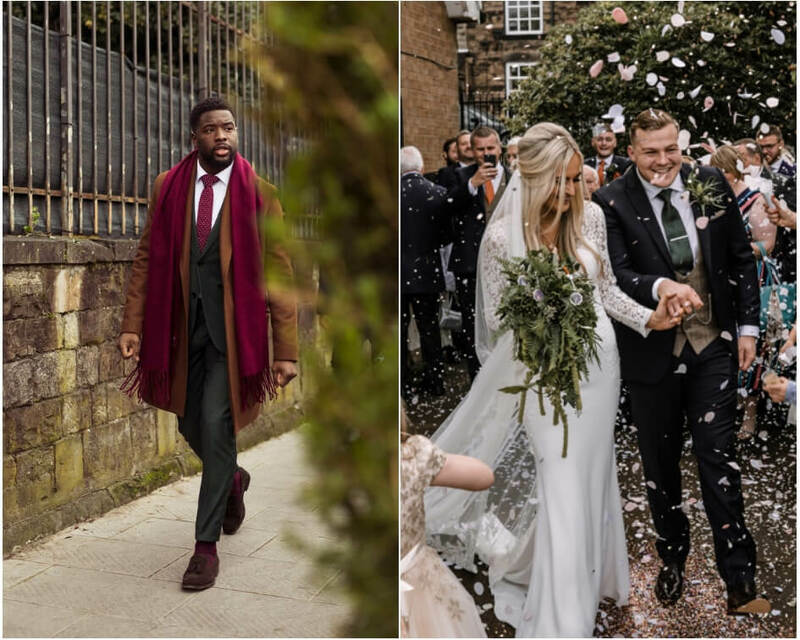 At Whitfield & Ward, we take great pride in helping our couples to find their dream wedding suit, taking all things into consideration, from their wedding venue to the season and overall theme of their special day. If you’d like to get in touch about our hire or bespoke tailoring services, call us on 01625 536 545 or fill in our online contact form here.